2010 release from the Alt-Rock outfit. 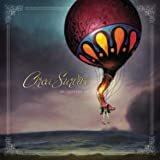 After their previous album debuted at #24 on the Billboard 200, Circa Survive have returned to once again rock the music world with their major label debut album, Blue Sky Noise. The album is a reinvention of the band's trademark sound led by unique vocals and distinguished musical styling. 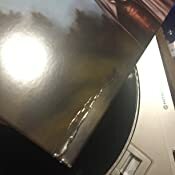 The band has described Blue Sky Noise as an entirely "new chapter" which will solidify Circa Survive as one of the most visionary and forward-thinking young bands in contemporary Rock music today. i really noticed the album art first then the music. interesting vocals you either love or hate, sort of high pitched falsetto. not the same as rush's g lee, more juvenile in sound. The music is good, metal/alternative, delivered with strong musicianship. Lots of little solos throughout. at first I thought the singer was terrible but he grows on you. great new band for me, check them out. It is clear to any music fan that as one matures, so does the art work. 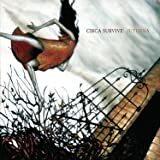 Circa Survive started off with Juturna, which I highly recommend. Moving to On Letting Go, you can feel the emotion in the song. Then comes Blue Sky Noise - again you can feel what Anthony is trying to relay through song and lyric. It has a slightly different sound than the first two, but you get the same pure artistry, same poetry that you have grown accustomed to. Blue Sky Noise has great production quality as well, so no need to adjust the EQ to fit the stereo system. Bottom line, if you are a fan of Circa, buy Blue Sky Noise. And if you have not seen them live, go to the next local show, you will become a fan quickly. I love this album! 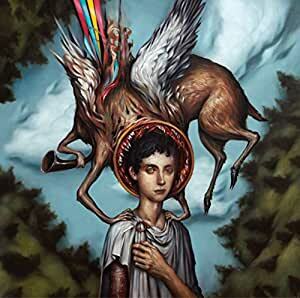 My boyfriend and I are huge Circa Survive fans, and we agree that this is probably their best album yet. The first 2 seem more focused on crazy guitar work and Anthony Green's amazing voice...but this album really sounds like the whole band is equal. The songs are fantastic, and you get to appreciate all of the members and their unique skills. I listened to this cd over and over on my commute to work and back for probably a good 3 weeks, and never got sick of it. Good stuff, keep it up!